Washington, NJ: Vibrating fluid bed dryers and coolers from process equipment manufacturer The Witte Co., Washington, New Jersey (www.witte.com), are engineered with a series of proprietary design innovations that protect and maintain particle size and shape during processing to prevent costly product attrition. Featuring a narrow slot, wedgewire conveying surface that provides uniform air distribution and maximum heat transfer, the Witte equipment offers an upgrade versus drilled hole deck designs, which create pockets of high and low velocity air, invite clogging and allow product to leak through the conveying surface. 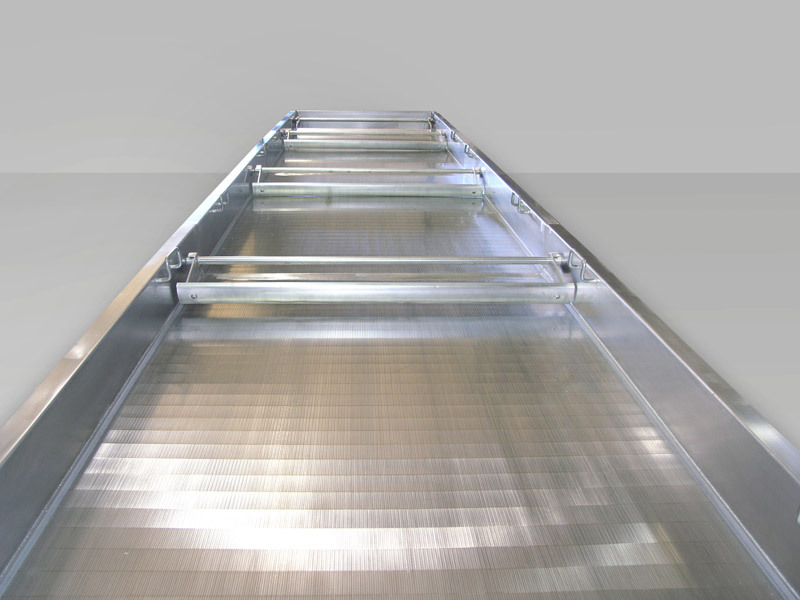 The Witte drying systems also include the company’s signature vibrating action set at a low frequency and amplitude to minimize impact on the product and provide supplemental movement that ensures the product gently advances downstream in a first-in, first-out treatment and arrives at the discharge within planned drying specifications. Ideal for drying and cooling food, chemical, pharmaceutical, plastic, mineral and other products where particle size and shape are important, the Witte vibrating fluid bed dryers and coolers are custom-manufactured at the company’s Washington, New Jersey headquarters to suit each, individual installation. Free product testing on full-size, vibrating fluid bed dryers and coolers at the company’s on-site testing laboratory is included.